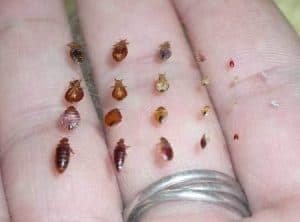 Bed bugs are parasitic insects which fall under the cimicid family and feeds solely on blood in order to survive, grow and reproduce. They are blood sucking insects who mostly feed on human blood when they can’t find other prey. They are somehow nocturnal whereby they are mostly active at night. They cause adverse health problems resulting from their bites. They attack their hosts without being noticed and despite the fact that they don’t transmit any pathogen as a disease vector, they cause skin rashes, allergic symptoms or even psychological effects. Discover the best ways to get rid of them. Baby bed bugs grow to maturity from eggs hatched by the adult bed bugs. They grow from a hatched egg to a full adult in just about a month under favorable conditions. 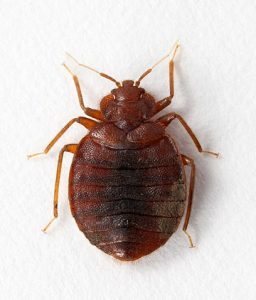 In order to grow well, baby bedbugs need a warm and dry place and blood to grow well and healthy. The eggs are tiny with a size of a pinhead and are visible with the naked eye. The entire stages of their development is also visible. The first thing newly hatched baby bed bugs do is to search for a blood meal. They cast their skin as they grow and can feed as much as one time per day although they can go for several days or even months without feeding. When they can’t get a blood meal their development stagnates and cant progress to the next stage until it feeds. Young bed bugs are known as nymphs and are whitish-yellow to translucent in color. If they go for long without getting blood to feed on, they can be extremely tiny and invisible to the naked eye because of their color and size. They are nearly colorless when they are freshly hatched and slowly change their color to brownish as they mature and feed on blood. 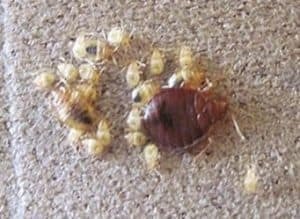 Adult bed bugs compared to bedbug babys are long and brown with a flat oval-shaped body. They are about the size of an apple seed and measure approximately a quarter inch. Their flat body makes them hide in the most surprising places. They are brown to reddish-brown in color and changes to purple-ish red and shiny after sucking blood. An adult bed bug feeds about 3 to 10 times a day on average and they swell to take a shape of a capsule or blood balloon after feeding. They have segmented abdomens with microscopic hairs which explain their banded appearance. They do not fly but are able to move quickly on the floor or on furniture and have a smelly odor which is produced through the glands on their lower side of their body. What is surprising about adult bedbugs is that they can survive for up to 18 months without feeding. When they are in the right and favorable conditions, which is warm and dry environment, they can survive for long without blood food.